Rice has been cultivated in Southeast Asia since the third millennium B.C. This cereal grain is the main staple for most of the global population, and it’s particularly popular throughout Asia. The Singaporean rice dishes featured here today are as traditional as they come, and are available from food stalls or fancier restaurants. Tourists who visit the island city-state of Singapore should treat themselves to these amazing rice dishes. They are delicious, hearty and nutritious. 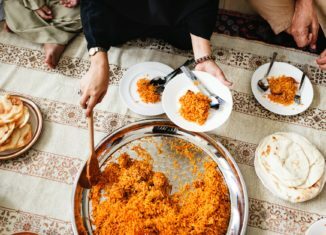 Tourists who try these rice dishes may connect to Singaporean history and culture in a memorable and enjoyable way. 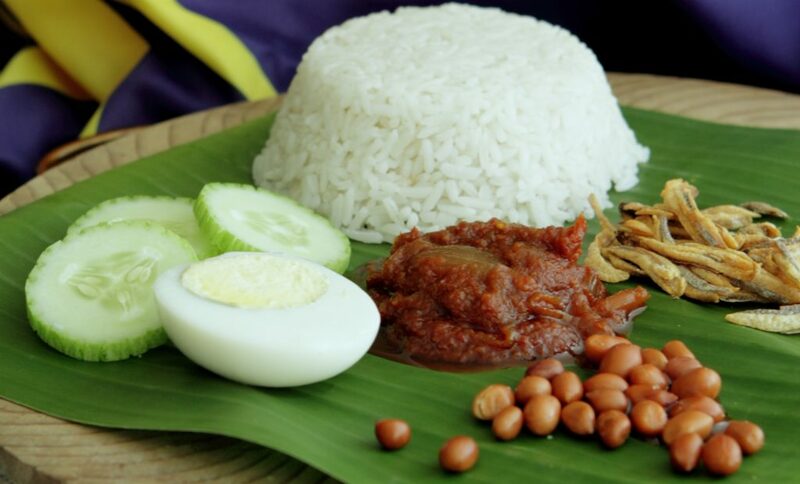 If you’re looking for a great breakfast dish to enjoy while you explore Singapore, be sure to consider Nasi Lemak. This dish is the epitome of Singaporean comfort food. Made from aromatic rice, which is cooked in Santan (coconut milk) and, occasionally, Pandan leaf, it also features a side portion of spicy-sweet Sambal chili sauce, egg, anchovies, slices of cucumber and ground nuts. While tourists visiting over the holidays may not be used to rice for breakfast, they will find that it’s so easy to adjust. Nasi Lemak is a Singaporean delicacy that’s easy to find and a joy to consume. This is one of the island city-state’s national dishes. Chicken Rice is found at street stalls, which may also be referred to as hawker stalls. It’s also found in sit-down eateries. You may order chicken slices or go for a full bird (which is ideal for a larger group). This chicken dish is an adaptation of a dish enjoyed by former inhabitants of Hainan Island in China. When Hainan Island residents came to Singapore, they brought their recipe with them, and the recipe soon took on a Singaporean twist. Everyone who visits Singapore should sample this traditional dish. This dish is served with chili that has quite a spicy kick, in addition to rice and a paste made from ginger. Pork fans will love what Char Siew rice has to offer. It’s a dish that features strips of boneless pork which are seasoned to perfection. The pork is typically placed on forks with long handles and then cooked over a fire or an oven with a cover. This Singaporean dish features a dark, rich sauce that’s made from honey, soy sauce and a couple of other delicious ingredients. Now that you know just how appealing these traditional rice dishes are, why not try them when you visit Singapore? Nasi Lemak, Chicken Rice and Char Siew Rice are all authentic and wonderful. Trying them will turn your Singapore adventure into an unforgettable food tour.